Ex-stock or short delivery times. 5. 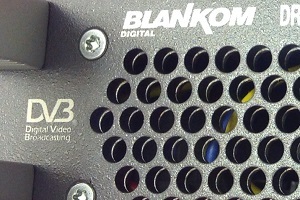 Generation BLANKOM IPTV Headend Technology. The device can be controlled from anywhere on LAN, WAN or Internet. 4 or 8x HD-SDI/SD-SDI and 1x ASI Input, 2x ASI outputs. MPTS or 4/8x SPTS UDP IP Output. MPEG1 Audio Layer 2 audio encoding (Optional: LC-AAC and HE-AAC (V2) audio encoding). LCD / keyboard and NMS (Web/SNMP) operation. Update device through NMS (Web/SNMP) port. 4 or 8x HDMI and 1x ASI Input, 2x ASI outputs. 8x SD-SDI and 1x ASI Input, 2x ASI outputs. MPTS or 8 SPTS UDP IP Output. H.264 and MPEG2 video encoding. MPEG1 Audio Layer 2, LC-AAC and HE-AAC (V2) audio encoding. 8x CVBS and 1x ASI Input, 2x ASI outputs. 8 pairs of unbalanced audio inputs. 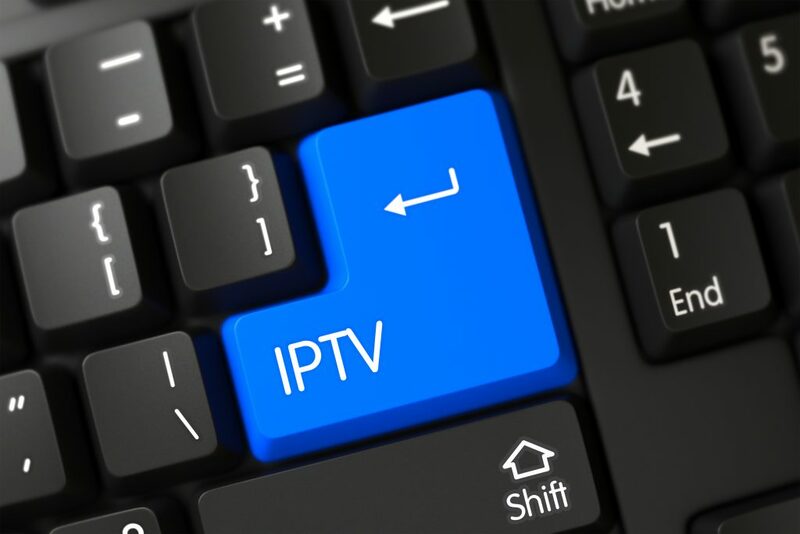 MPTS or 8 SPTS UDP, RTP/RTSP IP Output. PAL and NTSC SD video formats. LCD / keyboard and NMS (Web) operation. LCD / keyboard, network management (NMS). 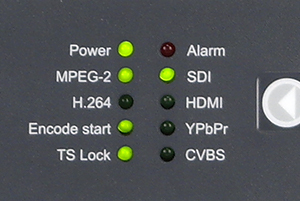 Broadcast-Grade MPEG-2 Encoder for professional use. TS over UDP unicast / multicast output. MPEG-2 video encoding, advanced video pre-processing algorithms. Supports composite, S-Video analog video input. Supports SD-SDI digital video input. Supports balanced and unbalanced analog audio inputs. Supports AES/EBU, SD-SDI digital audio input. Supports PAL, NTSC SD video formats. Broadcast-Grade HEVC (H.265) and H.264 Encoder & Streamer for professional use. Broadcast-Grade H.264 Encoder & Streamer for professional use.